When you think of ways to cool down in the summer, certain things come to mind. Sitting in front of a fan, jumping into a pool or sipping a tall glass of lemonade. For many of us, lemonade and summer go together like peanut butter and jelly. But while nothing can beat a big glass of ice-cold, old-fashioned lemonade, sometimes it's fun to mix things up. Today I'm sharing a traditional lemonade recipe. Then, we'll look at three ways to give your lemonade a delicious twist. All of these variations are alcohol-free. However, I will recommend an alcohol that complements each recipe perfectly. First, let’s make some lemonade. Put the hot water and sugar in a one-gallon pitcher. Stir until the sugar dissolves. Add the lemon juice and cold water. Stir until well mixed. Serve over ice. Pretty easy, right? Hot water right out of your faucet will be hot enough to dissolve the sugar, so there is no need to turn on the stove. We’re trying to keep things cool, remember? Okay, let’s talk about how to vary this recipe. You can make these variations by the glass or the pitcher. Add as much or as little of the flavor additions as you like. Give the drink a taste to see what suits you. Remember, the longer you let the mixture sit, the more concentrated the flavors. 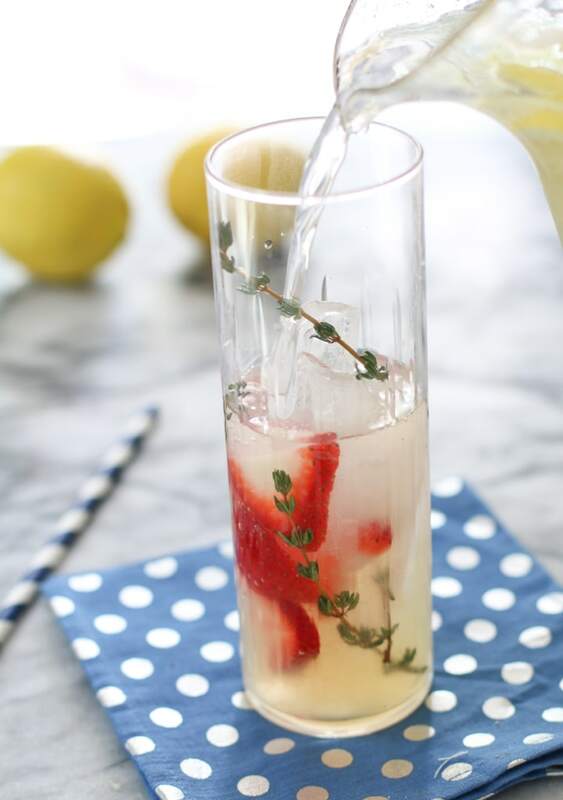 First up, we’ll make Strawberry Thyme Lemonade. 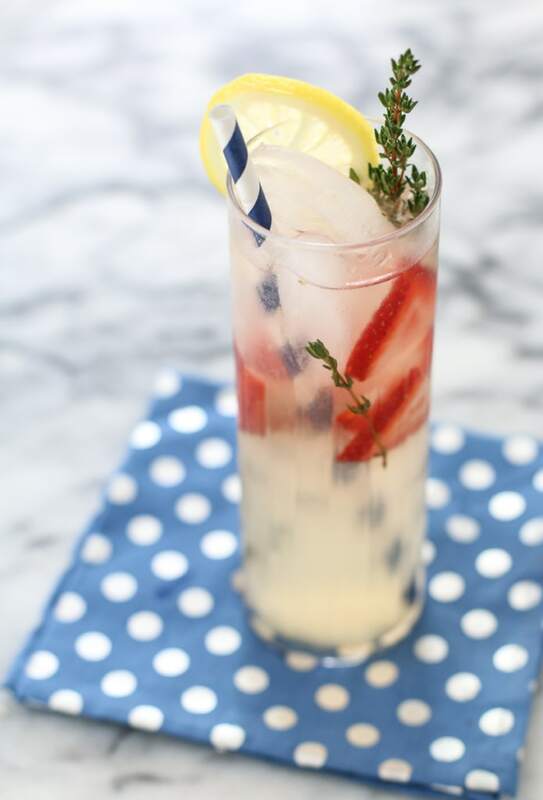 Just add a few slices of strawberries and fresh thyme to a glass of ice, top with lemonade and stir. Garnish with a sprig of thyme and a lemon slice. 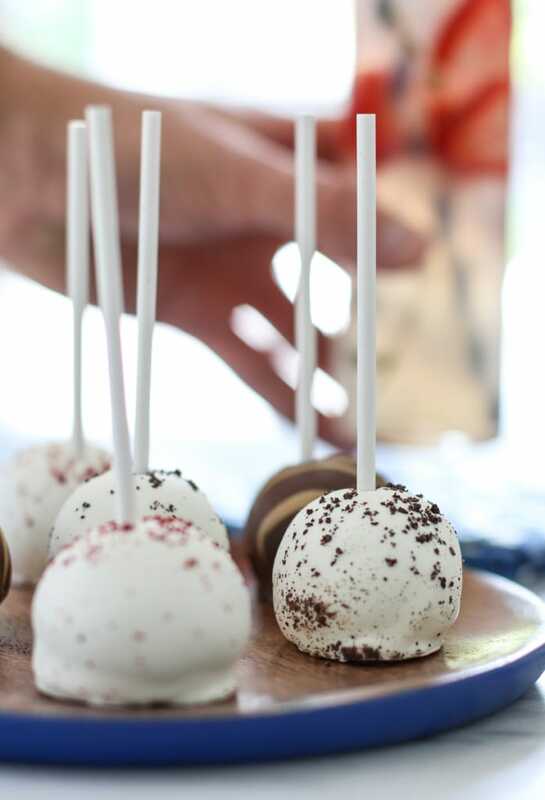 Strawberry and thyme go beautifully together, giving this combination a slightly peppery and fruity flavor. To make this a cocktail, add gin. Next up, we’re turning up the volume with Jalapeño Basil Lemonade. 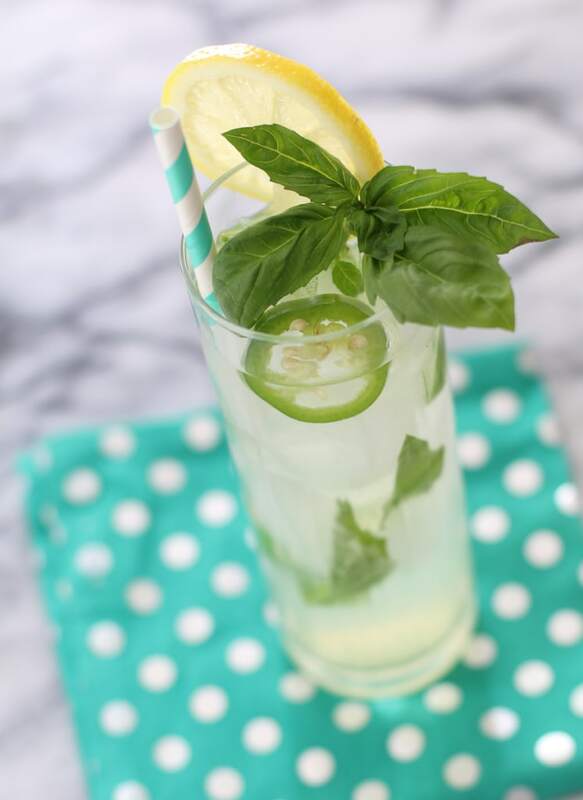 Add a few slices of jalapeño and several leaves of fresh basil to a glass with ice, top with lemonade and stir. 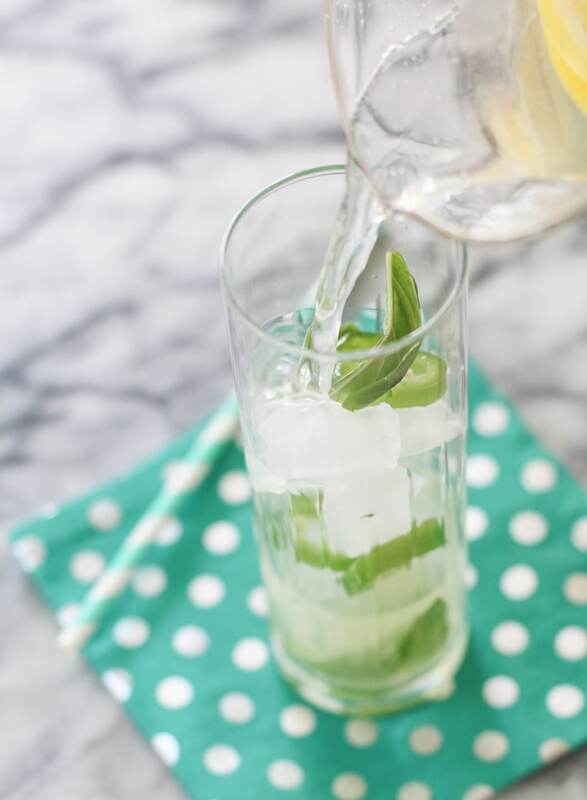 Garnish with a fresh basil leaf and a lemon slice. I’m totally in love with adding a slice of jalapeño to my drinks. It adds an unexpected flavor kick. The fresh basil complements this perfectly. To make this a cocktail, use vodka. 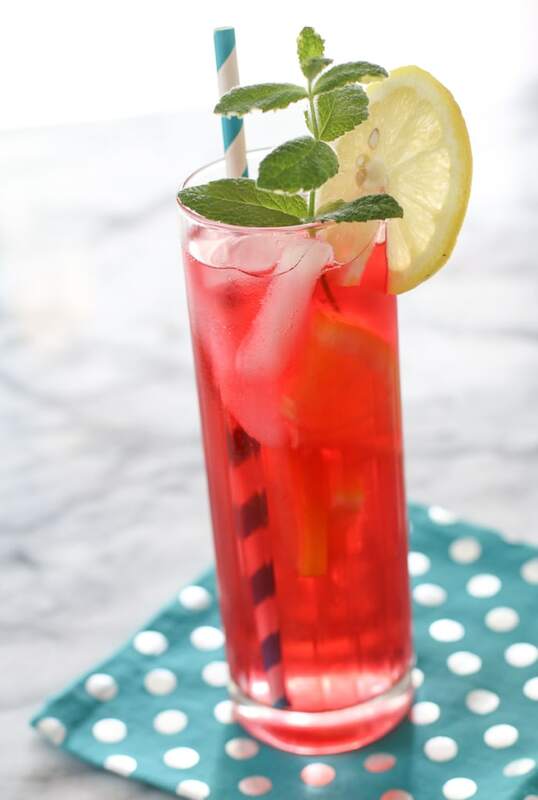 Finally, we’re making things a bit more fruity with a Hibiscus Orange Lemonade. 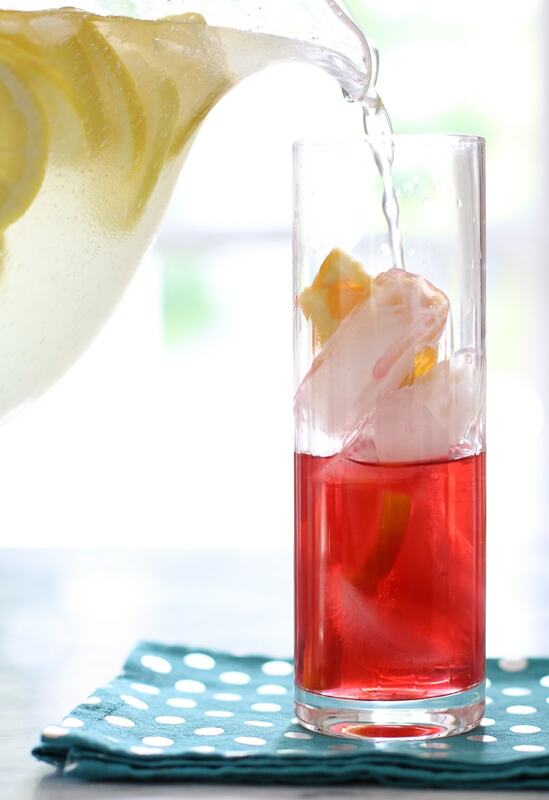 Begin by brewing a cup of hibiscus tea and allowing it to cool. Fill a third of a glass of ice with the tea. Add in a few slices of orange. Top with lemonade. 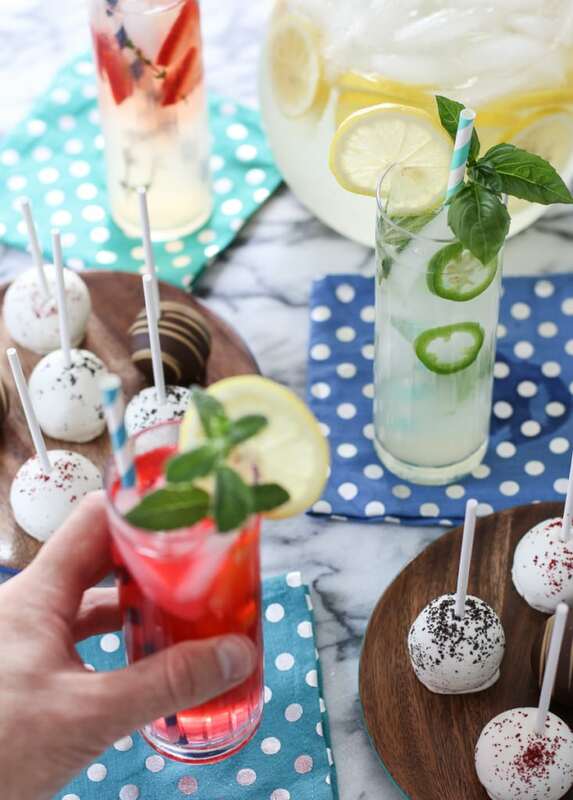 Garnish with a sprig of mint and a lemon slice. This combination is ideal if you like a fruitier lemonade. Plus, the hibiscus tea makes the drink a gorgeous pink hue. For an alcohol option that also gives a little sparkle, I’d try topping this off with prosecco. There you have it! Three unique and fun ways to cool down this summer. I’m pretty sure you’ll never drink plain ol’ lemonade again. 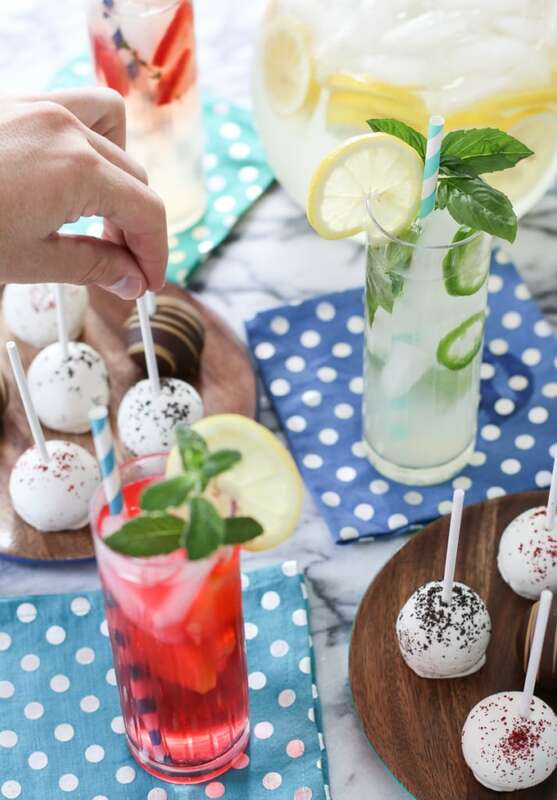 If you’re throwing a party, consider making lots of lemonade and making different herbs, fruits and juices available on a make-your-own lemonade bar. 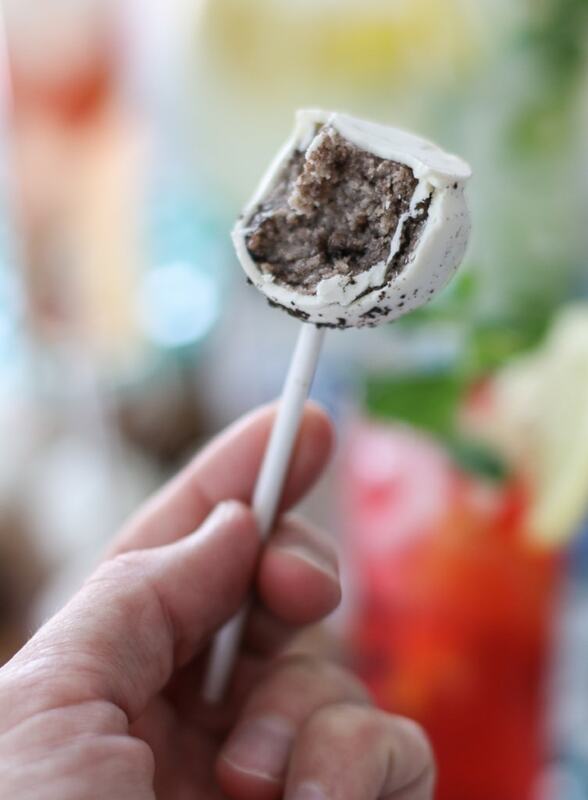 It’s a memorable way for your guests to create their own flavor combinations. Oh, and don’t forget a snack. 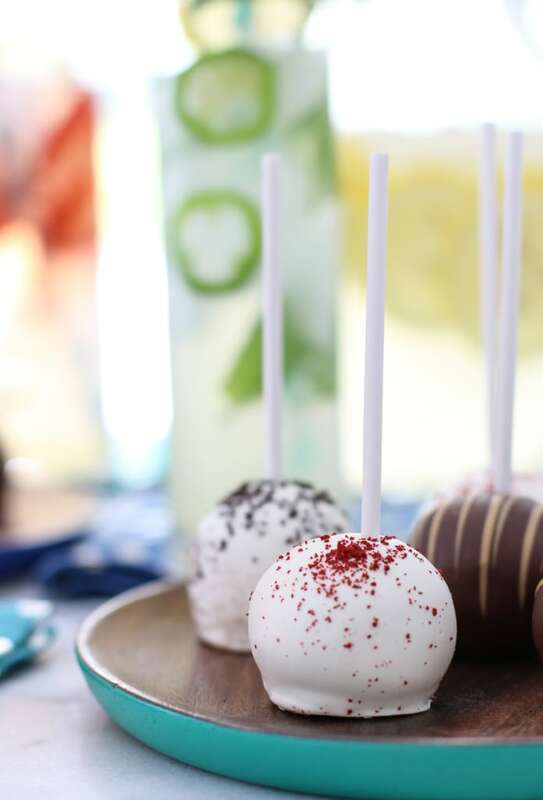 I’m pairing my lemonade creations with this assortment of cake pops. They make ideal finger foods and are fabulous for sharing. Your guests will love them. 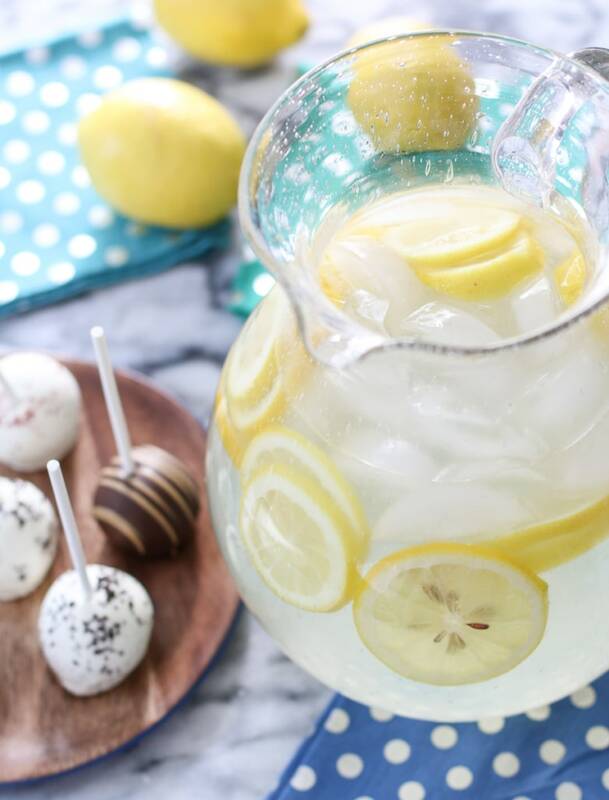 Now, get out there and start mixing up some lemonade to make your summer even better. Stay cool, friends. Michael Wurm, Jr. is the blogger behind the widely popular lifestyle blog, Inspired by Charm, where he shares his love and tips for a decorated life. Whether it’s ideas for easy decorating, a delicious recipe, entertaining inspiration, or a unique DIY project, his goal is to provide the tools and ideas for everyone to live a happy, colorful life.